You are here: Home / Visit / 14 Unique Attractions! 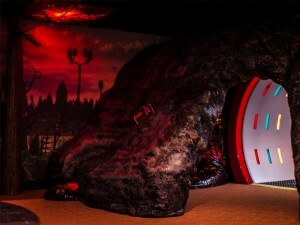 The all-new, all-amazing Hibernia KidsPlace is just one of our 14 Unique Attractions! Looking to learn more about the Earth and its incredible past? Wanting to get out for a super-fun day with the kids? Fascinated by the Titanic story and want to learn more about the countless stories of its passengers and crew? The Johnson GEO CENTRE gives you all of that and more! The GEO CENTRE has been designed to provide lots of family fun in St. John’s, while suiting everyone’s timetable and interests. To fully appreciate the many GEO displays and exhibits as well as The Titanic Story and the ExxonMobil Oil and Gas Gallery, set aside two or three hours. However, if you’re in a rush, you can still enjoy a quick visit to the GEO CENTRE in under an hour. As you enter, ask our friendly staff for tips on how to move through quickly without missing any of the most popular points of interest. Whatever your timeframe, you’ll find an experience you will always remember at the Johnson GEO CENTRE!